For his leadership in defending the land and water in the Bad River watershed, the Lake Superior Binational Forum selected chairman Wiggins to receive its 10th annual Environmental Stewardship Award. An awards presentation will be held at the Big Top Chautauqua in Bayfield , on Saturday, July 13 @ 6:00 pm. On June 19, 2013, GTac submitted plans to the DNR to sample up to a total of 10,000 tons of rock from five locations on the site. The DNR will hold a public information meeting later this summer to take comments on the bulk sampling plan and the general design of the project. Iron ore mining and dropping water levels around the Empire Mine in the U.P. Mike Wiggins has good reason to be concerned about water levels around open pit mining. Residents in the Martin Lake area at K.I. Sawyer Air Force Base in the Upper Peninsula may be forced to dig deeper wells because the groundwater in the Sand Plains aquifer has dropped between 9 and 17 feet since 1980. Sands Township Supervisor David Kallio believes that water diversions at the Empire Iron Ore Mine may be to blame (see enclosed article from The Mining Journal). Republicans on the legislature’s Joint Finance Committee recently passed a state budget amendment preventing any person from challenging a permit for a high-capacity well on the grounds that the cumulative environmental impacts of the proposed well and the surrounding wells had not been considered by the DNR. A high-capacity well is one that withdraws at least 100,000 gallons of water a day. Too many wells can harm local ground and surface waters. In central Wisconsin, the over-pumping of aquifers (the underground pools of groundwater that provide us with drinking water and recharge our lakes, streams and wetlands) has caused private wells to run dry and some lake levels to drop to catastrophic levels. Paul DeMain of News from Indian Country and the Lac Courte Oreilles (LCO) Band of Lake Superior Ojibwe announced the opening of a treaty harvest and educational camp on public lands on Moore Park Road in the town of Anderson in the Penokee Hills. The camp’s mission is to make a presence in the Penokee Hills and host LCO tribal members and other guests who are doing an inventory of resources, trail blazing, archaeology work and harvesting. Other tribes and environmental organizations support the camp, including Save the Waters Edge, the Mining Impact Coalition of Wisconsin and the Penokee Hills Education Project. The camp is on county land and within the Ojibwe ceded territory. DeMain has documented sixty-three Indian allotments located directly on top of the ore deposit. “Most of these land allotments were stolen outright, or deceptively removed from Indian people,” according to DeMain. The camp will be assisting visitors on walks to the GTac drilling site every weekend this summer to show everyone what it looks like when drilling rigs and industrial machinery enter a pristine environment. These kind of walks through proposed mining areas were a very effective way to build opposition to the proposed Lynne mine site in Oneida County in the early 1990s. Noranda Minerals of Toronto, Canada withdrew from the project in 1992 after strong local opposition from an Indian-environmental alliance led by the Lac du Flambeau band of Ojibwe and a local environmental group, Environmentally Concerned Citizens of Lakeland Areas. Initial press accounts of the June 11th confrontation between protestors and the drilling crews for GTac suggested that the people who raided the mining site, erected barricades, and vandalized mining equipment had the support of the harvest camp. In fact, the protestors were thrown out of the harvest camp because their protest was counterproductive to the camp’s outreach and peaceful opposition to the proposed mine. Iron County Sheriff Tony Furyk said there were no reports of physical violence to his knowledge and no one was injured at the June 11th confrontation between drill workers and about 15 protestors. Despite the absence of physical violence, Gogebic spokesman Bob Seitz said “This is eco-terrorism. There is no doubt it is eco-terrorism when your head is wrapped like al-Qaida and people are yelling things at people and threatening them.” (Milwaukee Journal Sentinel 6/15/13). This over the top fear-mongering rhetoric prompted Rep. Mark Honadel (R-South Milwaukee) to insert a measure into the budget bill that would bar protestors from getting close to the company’s mining activity. Rep. Honadel was one of the original co-sponsors of the Iron Mine Bill written by GTac with help from the governor’s office. The measure was later withdrawn from the budget. The Ashland County board approved a zoning ordinance on June 21st that requires a mining company to obtain a special-use permit from the county. It would also require an applicant to pay the county $100,000 and keep a minimum balance of $50,000 to reimburse the county for its expenses. The vote was 18-1. Gogebic spokesman Bob Seitz said his company is opposed to local zoning because state regulations are enough. “We certainly would want to be where we’re welcomed. If one county doesn’t want the tax revenue that comes from mining, then we would certainly talk to them about trying to keep the mining out of that county.” (Duluthnewstribune.com). The Iron County Board could vote July 2 on adopting its own mining regulations. For the past two years, the people of the Bad River Band have been fighting any attempts to locate a mountaintop removal-style, strip mining project in the Penokee Hills. With the passage of the Wisconsin legislation, Bad River is redoubling its efforts and preparing to win a long-term battle. Bad River is employing legal and diplomatic strategies to take our fight to the media, to government agencies and to U.S. federal courts. 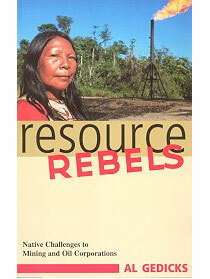 We need support to successfully defend our resources for the survival of the seven generations. Community development: Bad River’s people have a long and proud history of defending the land and waters from various kinds of external threats. These efforts will build and expand on this history by creating opportunities for leadership and growth for community members and groups. Outreach: Our philosophy is to touch one heart at a time. Bad River is partnering with other tribes, municipalities and local governments, conservation groups and community groups in northern Wisconsin and beyond to ensure that our story is reaching a broad audience. Defend the Bad River is a tribally-owned non-profit entity controlled by the Tribal Council and community members. Thanks to Philomena Kebec, staff attorney for the Bad River Band.